"Thank you so much for being patient and working with us to see our son in 3D. To watch him yawn and make faces was such a joy. I have watched my DVD a dozen times already. I cannot wait for him to be here. Seeing him on the screen made it so real for me -- like there really is a baby in there. Your service is amazing and I thank you for bringing it to Bowie." If any of your questions are not answered below, please call us or send a text message to (301) 249-2635 or send us an email at my3dbaby@gmail.com. We offer elective 2D, 3D & 4D prenatal Ultrasounds to provide a positive bonding experience for the mother, father and family members with the unborn baby. We feel that realistic surface images provide a connection between the parents and baby that can be beneficial to the whole family. We make no claims that 3-D as used in this examination is performed to better assess the baby for abnormalities. No. Women seeking an elective prenatal Ultrasound with That's My Baby Ultrasound must already be receiving treatment with a healthcare provider for prenatal care. At no time is this exam to be used in place of a complete diagnostic Ultrasound. Extensive studies have found that Ultrasound has not been shown to cause any harm to mother or baby. Routine scanning of all pregnancies is now normal throughout the United States and overseas-- especially for high risk pregnancies. For 3D/4D scanning, exactly the same type of sound waves and intensity of Ultrasound is used as with conventional 2D scanning. 3D and 4D Ultrasound will be similar to a conventional scan in terms of exposure. 3D is the picture and the 4th dimension is movement. Depending on the package you choose, your session will last about 15-30 minutes. Please plan on spending about an hour with us as we have to prepare your printed pictures, CD, and/or DVD. Also, we are sometimes running behind as the babies can be a bit stubborn. We know you will appreciate us taking our time for your session as well as the sessions before you. How far along is too far along for an Ultrasound? You are never too far along for us at That's My Baby Ultrasound. Well, unless you had your baby! Remember, great pictures are achieved by having good levels of amniotic fluid. The myths about baby being "too low" or "not having enough room" are just plain not true. We do 36+ weeks all the time. No matter your stage, we will try our hardest to provide the best pictures possible. Can I do anything to help get a great picture/have a great session? You can help by staying hydrated. The clarity of the picture depends on the amount of amniotic fluid present around whatever we are looking at. By staying hydrated, you can help keep your amniotic fluid levels up. Please drink at least 64oz of water a day in the week leading up to your appointment. Also, if you notice baby gets active after eating/drinking anything in particular, please do that on your way to your appointment. If possible, try to schedule your appointment during a time when baby is most active. What if my baby doesn't cooperate at all? We try our best to get baby in a great position for pictures but it is their world and sometimes all we get is their backside. If your baby is completely uncooperative (meaning: we get no face pictures at all), you will be charged $50 for your visit - which you will receive as a credit for a one-time second try. Of course! In fact, we encourage our clients to invite family and friends to attend the session. We can comfortably accommodate up to 9 people but there is plenty of room for more. Children of any age are welcome. Everyone will have an excellent view of the large screen images of your baby. No. You will have to climb one set of steps to reach our suite. What is the difference between the CD of photos and the DVD? The CD contains all of the still images from your session. They can be used to print more photos, e-mail to family and friends, or upload to a website. The DVD is a movie of the entire session that can be played on a computer or conventional DVD player. How many pictures are on the CD of Photos? It all depends on how well baby does. We do not promise a set number of pictures. It could be 20-100+! Are you able to tell the gender of the baby? Is it easier to tell the gender in 3D/4D? No. We actually find the gender in 2D no matter what the stage of pregnancy you are in. The 3D/4D is strictly so you can see what the baby "looks like". 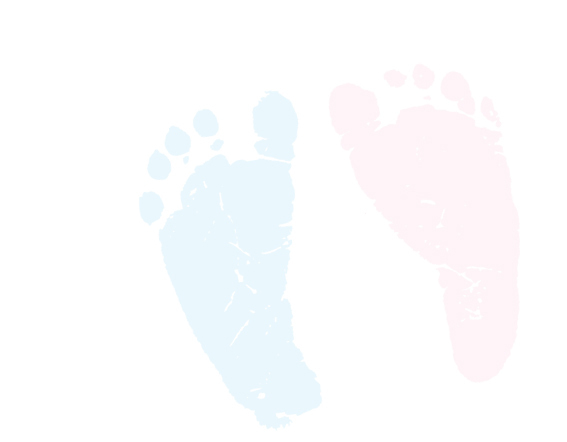 What if I DO NOT want to know the gender of our baby? No problem. We just ask that you come in later in your pregnancy - after 27 weeks - so that we can focus on the face and upper body without revealing the gender. Doing a gender reveal party? We ask that you keep guests to a minimum as to not have anyone "peek" at the gender during the scan. No, insurance does not cover the costs of our Ultrasounds. But, you may be able to get reimbursed through your flex spending account. Since this is an elective procedure and is not intended to be a replacement for your doctor ordered Ultrasound, you will need to pay the cost of this Ultrasound as an out of pocket expense. We accept credit and debit cards. Flex-spending credit cards should be able to be processed as well. We just asked that you have a back up form of payment in case it is declined. Yes - please email or text us so we can walk you through purchasing process. We have packages to fit just about any budget. Please refer to our Ultrasound Pricing page for more information on available packages. Is That's My Baby Ultrasound on Facebook?